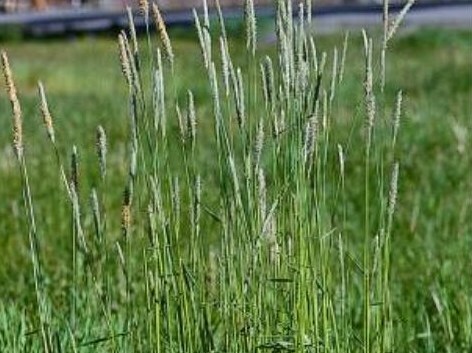 Alopecurus pratensis (meadow foxtail) is a perennial grass (family Poaceae) that can grow to be more than 3 feet high and is found in the coastal ranges, desert ranges and northern and southern ranges of California. It is native to Eurasia. It grows in grasslands, wetlands and meadows. It spreads via seeds and rhizomes through agricultural activities.